A peaceful divorce is possible. Divorce doesn't have to mean going to court. 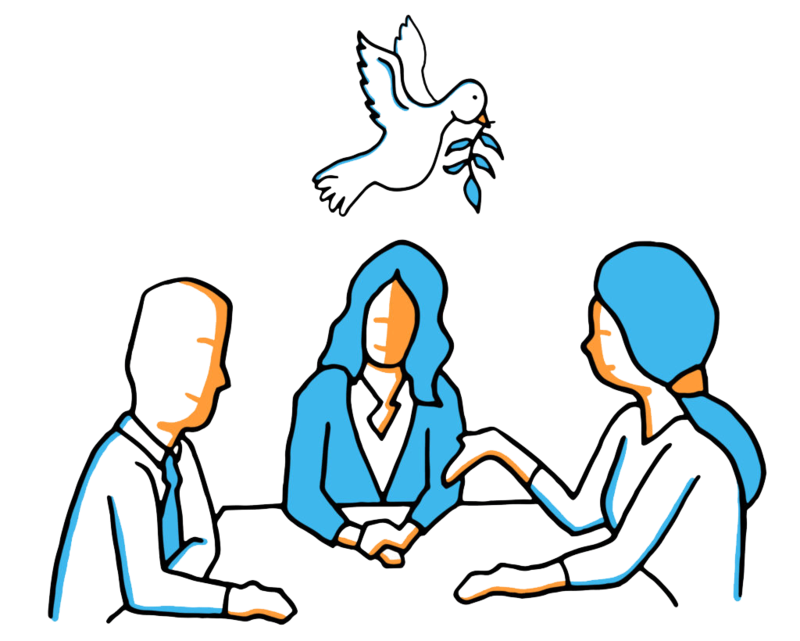 By choosing the path of mediation or collaborative law, you’ll be empowered to make your own informed decisions. We can help you work through those tough conversations with expertise and compassion. Get help with all or part of the divorce process. We take time to understand your unique situation and offer the support you need. We can handle everything up through the divorce decree or help with a specific issue like a parenting agreement. It begins with trust and understanding. I’m Lynette Kim, mediator and attorney. I’ve dedicated my professional life to restoring balance and peace to families like yours. I’ll give you the knowledge and tools to create a divorce process that’s calmer and less confusing, where there is potential for remarkable new beginnings. I’d be honored to show you the way. If you've been thinking about divorce mediation, but aren't sure if it can work for your situation, this guide is for you. Thank You. Your guide should be waiting for you in your inbox.